The Bakers’ Canvas goes to Davao! 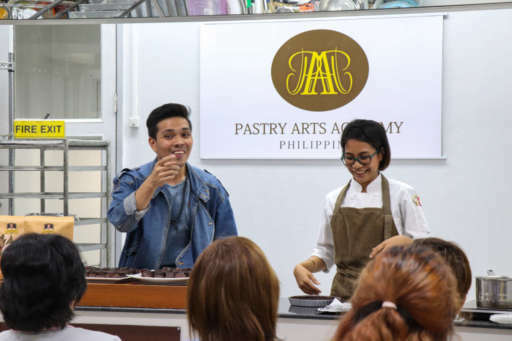 In yet another first for HAMBURG Trading’s flagship brand KESSLER’S, we flew to Davao on January 18 to conduct our first-ever baking demo in Mindanao. Together with Chef Gail Rodriguez and The Baking Pantry, we showcased four different recipes to passionate home bakers and baking entrepreneurs. The lively Marketing Head of Gourmet Bites’, Jeff Garde, started the demo by graciously welcoming the KESSLER’S team and the participants to The Baker’s Canvas. Then, HAMBURG Trading Corp’s VP for Marketing and PR, Gianna Kessler von Sprengeisen shared with the audience the history of the company and how KESSLER’S came to be. Gourmet Bites’ Jeff Garde (left) and Chef Gail Rodriguez (right) are all smiles while introducing KESSLER’S cocoa powder to the crowd. She stressed three major points: 1. Premium quality – that KESSLER’S guarantees uniform quality, full-bodied aroma, and a rich chocolatey taste. 2. Unique packaging – the first of its kind in the Philippine market, and 3. 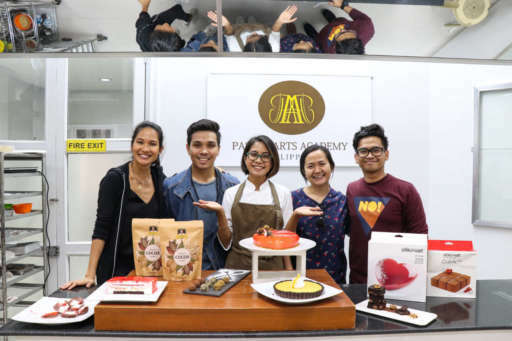 The brand’s community and advocacy which aims to help Filipino home-bakers and aspiring pastry chefs to improve their products, businesses, and service through various business seminars, baking demos, and assistance from our R&D Team. Chef Gail then started the baking demo by teaching the class how to make fudge chocolate brownies, a chocolate lemon tart, Kahlua chocolate truffles, and a cranberry entremet. She used KESSLER’S cocoa for all these exquisite creations. 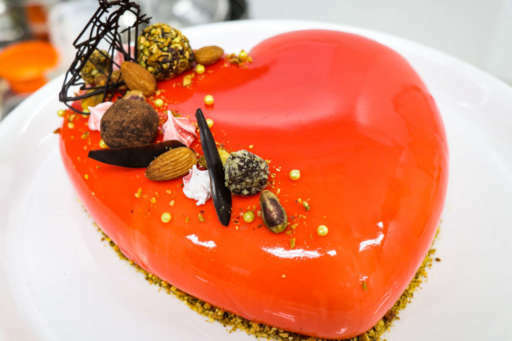 Cranberry entremet using KESSLER’S cocoa by Chef Gail Rodriguez. Some of Davao’s best food and lifestyle bloggers also graced our event. After Chef Gail presented all her recipes, they had an instant mini food photo shoot. 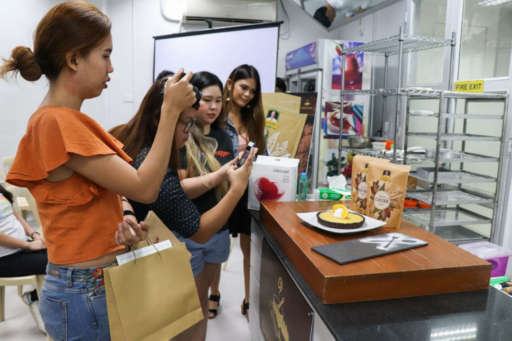 Chefs Charisse and Charmaine of The Baking Twins also dropped by to have a glimpse of the demo and to invite the attendees on their Family Fun Fair two days later. 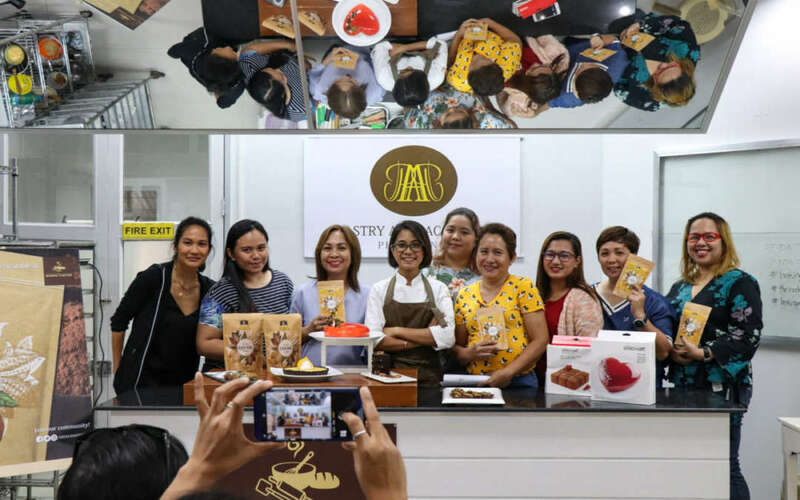 Davao food and lifestyle bloggers joined us in our first baking demo in Mindanao. Just before the demo ended, Ms. Kessler chose one lucky winner to take home a pack of KESSLER’S Cocoa Powder for posting the best photo on social media. She then thanked everyone who came and the people who made our first baking demo in Davao a success. The KESSLER’S team with Chef Gail Rodriguez and Jeff Garde.